In John 6:16-21 Jesus watched the events unfold for the disciples on the Sea of Galilee. 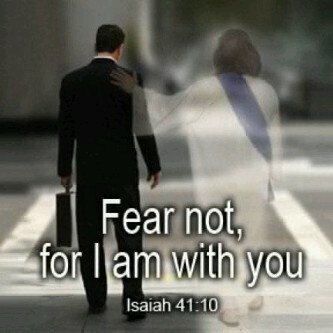 Jesus is always there, watching, waiting ready to help when needed. The saying goes, don’t look a gift horse in the mouth. If there is one thing Satan has been very successful at doing it is his encouraging man’s natural propensity to be skeptical. Is skepticism good? It is good to have a solid and balanced skepticism. It should be balanced with faith and knowledge of God’s word. Too often we balance it with our own fears forgetting God’s promises. This fear is baggage we carry. It is not bad to “keep a weather eye,” as we say in the navy. However, it is bad to project your fear upon others such that you develop unhealthy levels of doubt or unbelief. We should never open our baggage and pour it upon others. I have seen this often where people fear stepping out and exercising faith in God. In John 6:16-21 The disciples forgot everything they experienced in the recent weeks, even the very day they before finding themselves on the Sea of Galilee in a storm. Jesus told them He would come, He told them to meet Him. When they saw someone on the water, they thought it was a specter come to tell them their doom (Mark 6:49). They lost their faith. They were afraid of Him, they were afraid of the dark, they were afraid of the weather. False teaching made them fear. Jesus walking to them wouldn’t seem a blessing but sure doom. It is a blessing to receive the Lord! One who could create food, heal the sick performing such wonderful miracles, He is the Messiah! He is certainly no threat. Don’t fall in with fear when you can leap with hope! How often do we look at such a blessing with fear? Fear not the Lord, but rejoice! Rejoice to receive the Lord!